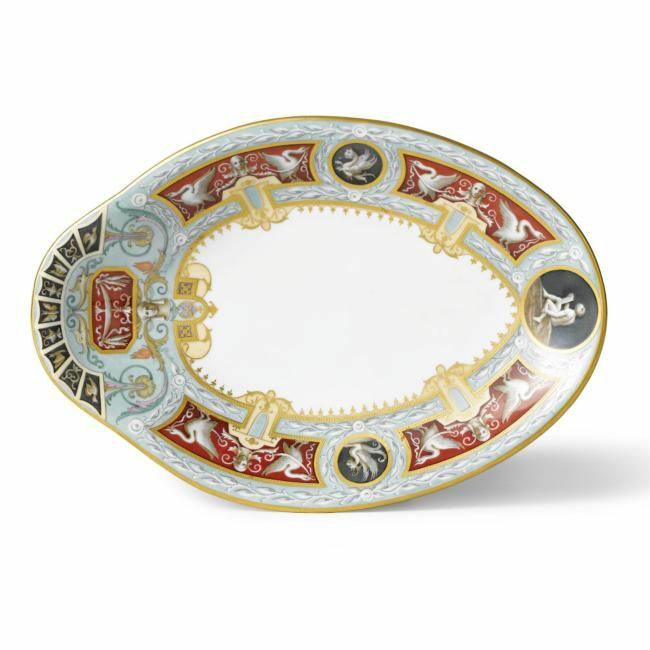 LITERATURE AND REFERENCES: See Tamara Kudriavtseva, Russian Imperial Porcelain, St. Petersburg, 2003, pp. 130-132. 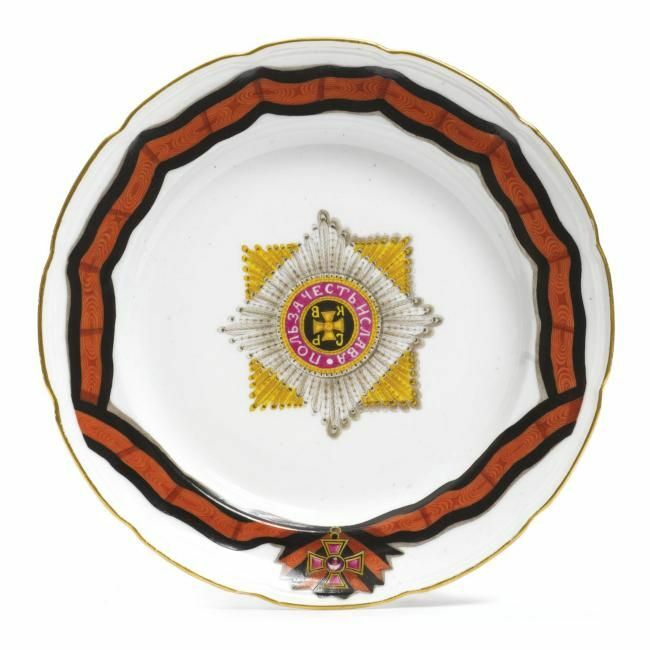 NOTE: This service was commissioned for use in the Great Kremlin Palace, the official Moscow residence for the Imperial family, when the process of renovating, and ultimately rebuilding, the palace began in 1837. The task of designing the new service fell to the talented student and future professor of the Academy of Arts Fedor Solntsev, who had been studying and recording Russian antiquities. 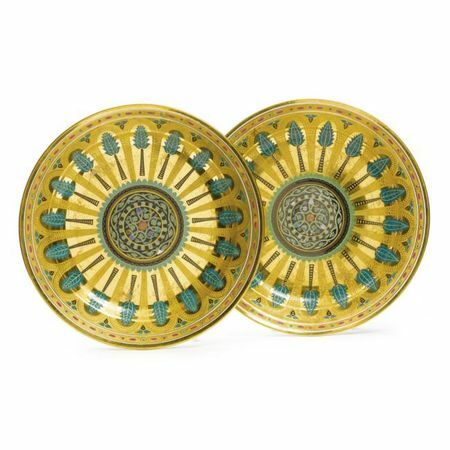 He drew upon 17th century metalwork as a model; in the case of these serving dishes, the source was the interior of a richly jeweled tazza belonging to Tsaritsa Natalia Kirillovna housed in the Kremlin Armory Museum.